1.Preheat oven to 325°. In large skillet, cook beef with taco seasoning as label directs; fold in beans. 2.On large rimmed baking pan, evenly spread chips. Over chips, evenly layer beef mixture, cheese and jalapeños. Bake 5 to 7 minutes or until cheese melts. Evenly sprinkle with toppings, if desired, and serve immediately. 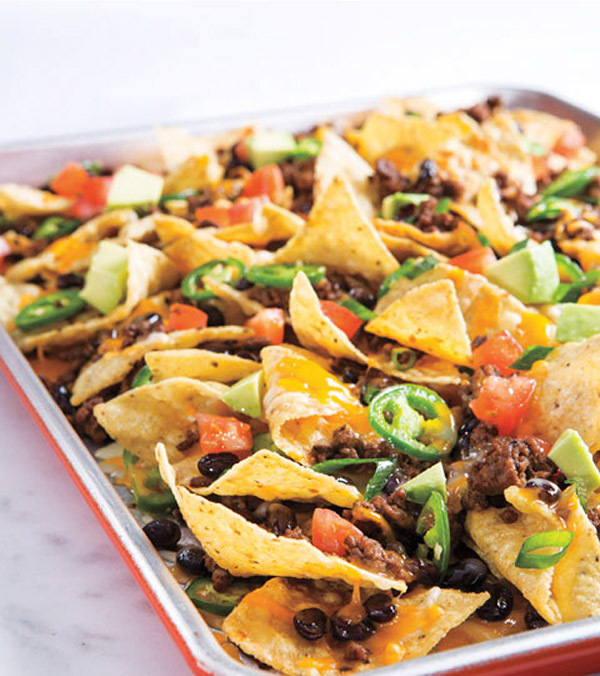 > It’s best to use sturdier tortilla chips to hold up to all the toppings. Switch things up by using scoop-style corn chips instead of tortilla chips.